Celebrate the arrival of the weekend with Margot in Los Angeles at Tía Chucha Cultural center. The lively center was founded by LA Poet-Laureate Luis J. Rodriguez and his unstoppable co-conspirator, Trini Rodriguez to give gente opciones, in other words, an oasis of art, literature, music and sanity to counter the surrounding desert of concrete, freeways and liquor stores. Bring song or poetry to share for the open mic of music and literature at 8:00, followed by Margot Pepper reading from American Day Dream and Through the Wall; A Year in Havana at 9:00 pm. 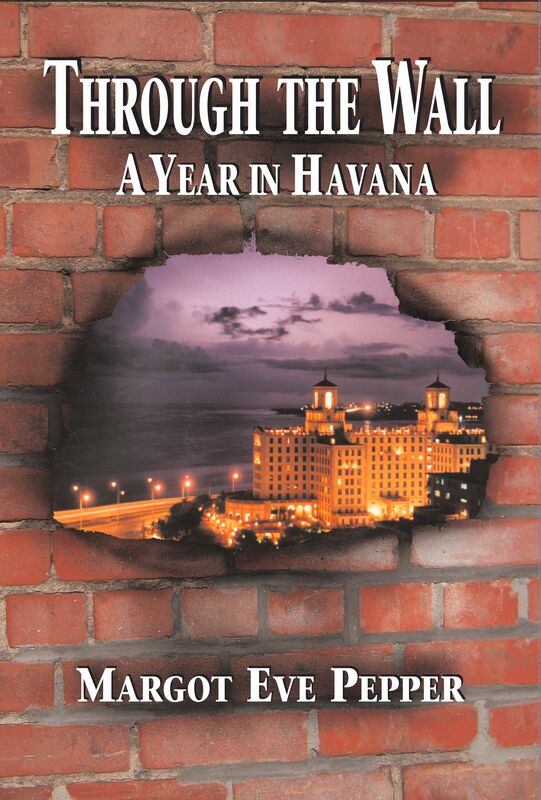 Rave reviews of Margot Pepper’s memoir, Through the Wall: A Year in Havana, say she has succeeded in breaking through the blockade to deliver a lyrical, honest, eye-opening account of life in post-cold war Cuba. Reviewers have judged Through the Wall–a love story about the clash between First and Third World perspectives on social change–to be “a truly significant book” and “a vital contribution to history.” The San Francisco Bay Guardian heralded it “well-researched, witty and thought-provoking…. graceful and lyrical even as Pepper delves into complex economic theory and politically-sophisticated analysis.” It’s a surreal world where high-ranking officials are required to pick up hitch-hikers. Root canals, cosmetic surgery and graduate school are free, but toilet paper is exorbitant. There’s no income tax nor homelessness, yet no house-paint either. Through the Wall reveals the failures and successes of one of the functioning alternatives to a corporate-run government, and draws out lessons that will be embraced by all who believe another world is possible. —Ring Lardner Jr., Hollywood Ten author of screenplay M*A*S*H.
AMERICAN Day DREAM by Margot Pepper. 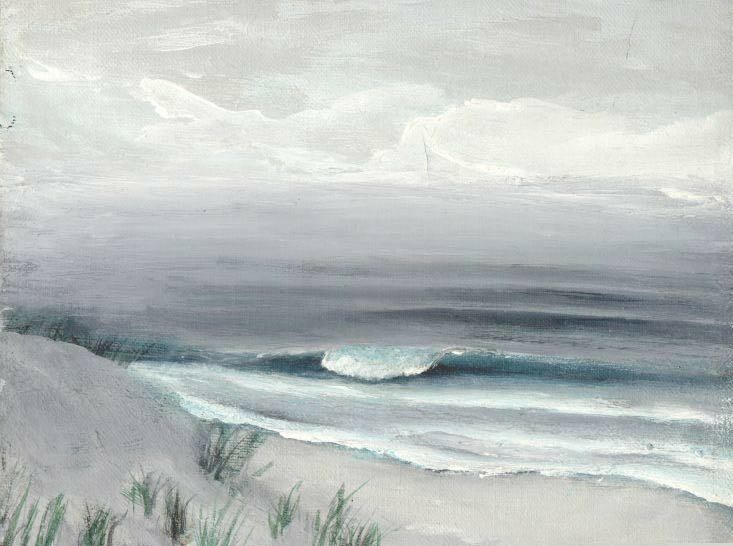 Feeling imprisoned by the demands of modern survival or indentured to your electronic gadgets? Updating Orwell’s 1984, this gripping techno-dystopian science fiction thriller set against the Bay Area’s iconic landmarks provides disturbing insight about the work speed up in the information age. And escape. 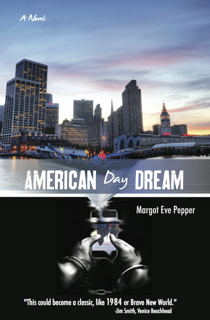 “Margot Pepper’s literary incursion into Science Fiction is just like her—daring, brave and fully imagined. Her political stance is vital and necessary. —Roger Burbach, author of Fire in the Americas. —Art Hazelwood, artist and author of From Hobos to Street People.